Apple has bought Spotsetter, a company that provides a socially-sourced discovery engine for locations. Without naming sources, TechCrunch reported that Apple bought the company in order to acquire both the technology and the company's founders. Terms of the deal have not been made public. Spotsetter was cofounded by ex-Google Maps engineer Stephen Tse and Johnny Lee, who had the title of CEO at Spotsetter. The LinkedIn profiles of both engineers now name Apple as their employer, with Mr. Tse's profile naming both Apple and Spotsetter. 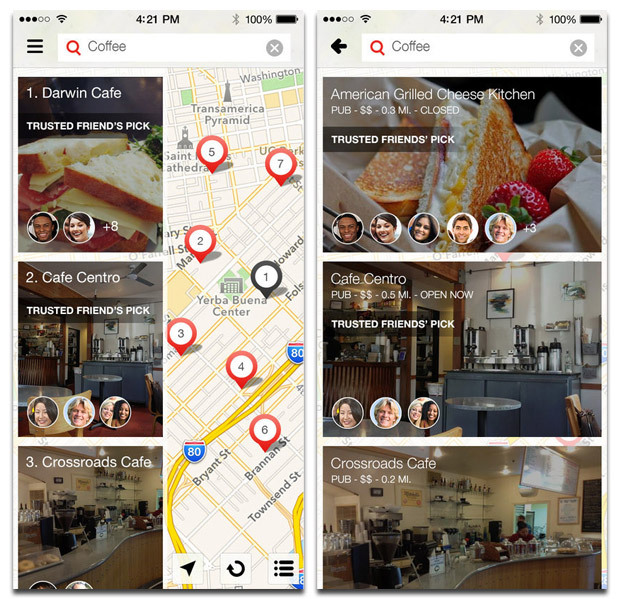 Spotsetter's service drew on multiple sources, including Facebook, Twitter, Instagram and Foursquare, to provide both reviews of locations and recommendations based on your friends' input. Users also had the power to designate some of their friends as experts in a given field in order to give their opinions more weight. The idea of using friends to recommend places is similar to a concept Google once called HotPot. Aimed specifically at dining, HotPot used your friends reviews of restaurants to make recommendations, but the service was first swallowed by Google Places and then quietly dropped. Spotsetter's target was much bigger than just dining, however, and TechCrunch noted that a year ago the firm boasted some 5 million user profiles, 40 million locations, and 1 million curated venue content items around the world. All of this information was overlaid on a Map through apps on iOS and Google Play. Both apps have been pulled. The company also sought to deliver information without the user having to actually look for it, something that Google Now does exceptionally well, particularly on Android. Apple has been adding similar capabilities to its Today mode in Notification Center, but Spotsetter's technology could help Apple accelerate this kind of feature. All of which sounds a lot like how Apple approaches its products. With discovery being such an incredibly important mobile feature, Spotsetter could end up being one of the more important acquisitions Apple makes in 2014.